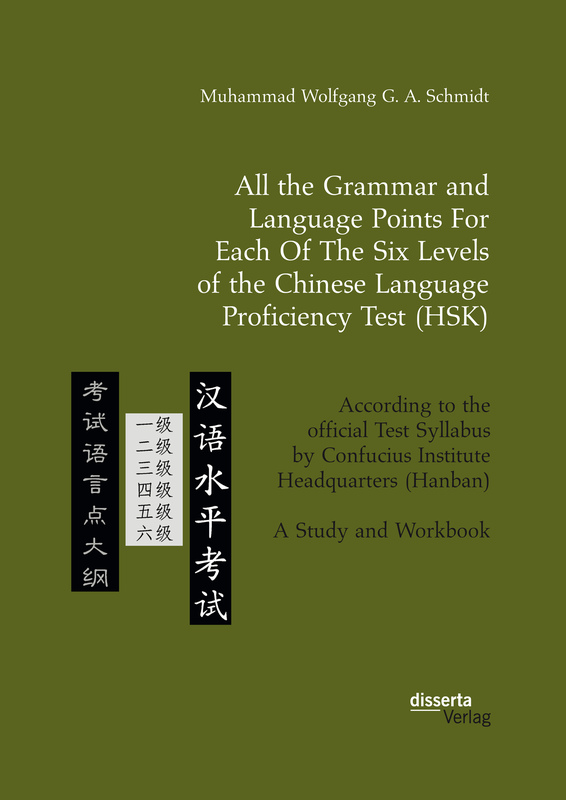 This book covers all the essential grammar and language points to be mastered for each level of the Chinese Language Proficiency Test (HSK) and is intended for Western learners of Chinese preparing for this test and who wish to repeat and practice their knowledge and skills in this area of the test. The material is organised according to the six proficiency levels by chapters and is based upon the authoritative test syllabi of the examination body (Hanban). 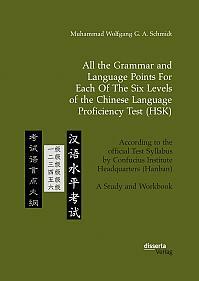 This is a HSK Grammar and Language Point Guide to be used in conjunction with a good Chinese grammar for foreigners, and users are expected to complete a number of study and work assignments both with respect to the grammar and language point material and the graded texts that follow in the second part of the book. Dr. Schmidt is a linguist and sinologist with several textbooks and other digital media on the Chinese language to his credit. He is a former university professor who retired in 2015 but is still active in publishing books and giving occasional lectures.